Eastbourne was a large coastal community that lived on fishing and farming. In 1232 it was granted a market charter, but it remained a village. The town became more popular in the C18th as a health resort and the King’s family stayed here. However, transport was difficult on poor roads and travel was expensive. Once the railway arrived in the town its fortunes changed. The railway arrived in 1849. Much of the town as we know it now was developed then by the Duke of Devonshire. The building of a pier in 1872, the Devonshire Park opening in 1874, and the Devonshire Park Theatre in 1884 all added to the attractions that made the town popular with visitors. The Corporation built the town hall in 1883. In the C20th the population grew rapidly and more amenities and attractions appeared. With the Italian Gardens, a technical college, and the Towner Art Gallery, the social and cultural life of the town was flourishing. However, the town suffered bombing during World War II.Post war, the town’s popularity flourished, more facilities opened, and the town benefited from visitors all year round. Today, Eastbourne is a vibrant town with majestic buildings. Its breathtaking carpet flower bedding on the seafront is testimony to the value that the town places on its visitors. So too is its programme of events which together with the theatres and museums entertain visitors all year round. The Grand Hotel is the only five star hotel on the coast! The town is a perfect centre from which visitors can explore the nearby beauty spots and heritage sites. Just a few minutes train ride or drive away is Pevensey Castle, or Anderida as it was in Roman times. William the Conqueror’s troops landed on this coast in 1066 and established their first quarters there. William I also built the delightful church there. Further along the coast overlooking the channel in Bexhill is the De La Warr Pavilion, a people’s palace built in 1935 by the 9th Earl De La Warr. Today, the dlwp has two galleries, the best coffee shop on the coast, and an auditorium with a varied programme. 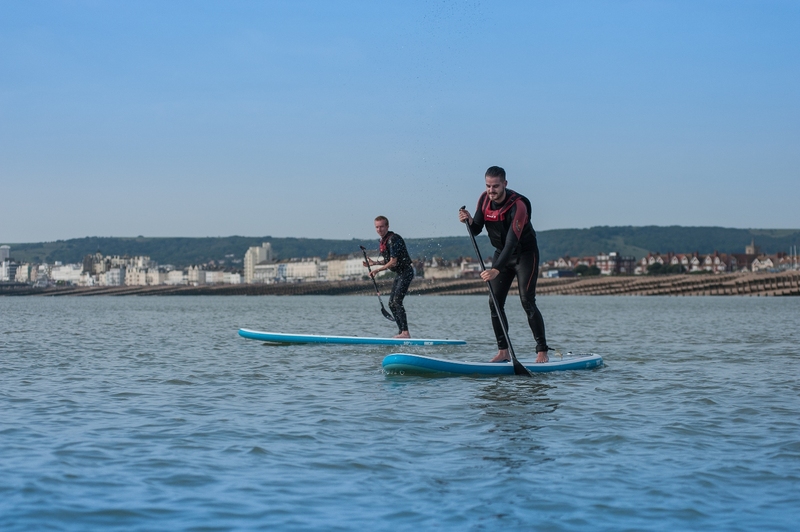 A recent innovation is the linking of the galleries in Eastbourne, Bexhill and Hastings with a cycle and walking route, NCR2. 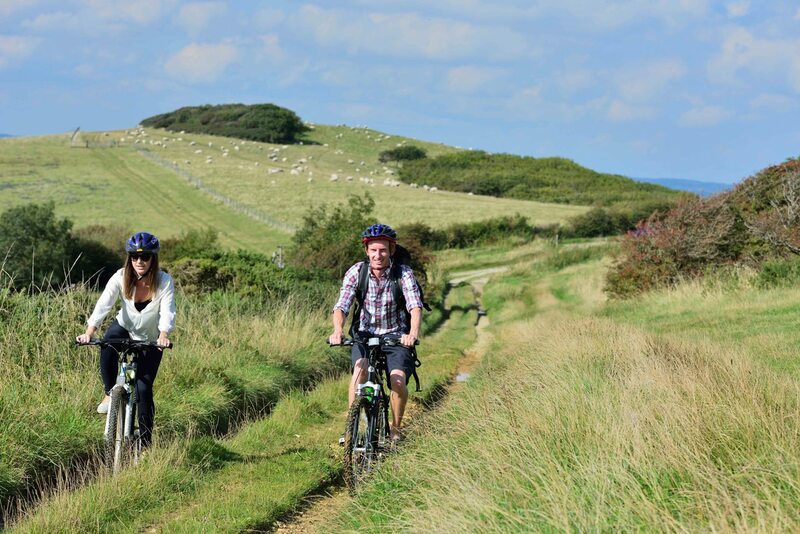 The Coastal Culture Trail is off road and suitable for all cyclists and walkers, including young children, between Hastings and Bexhill. 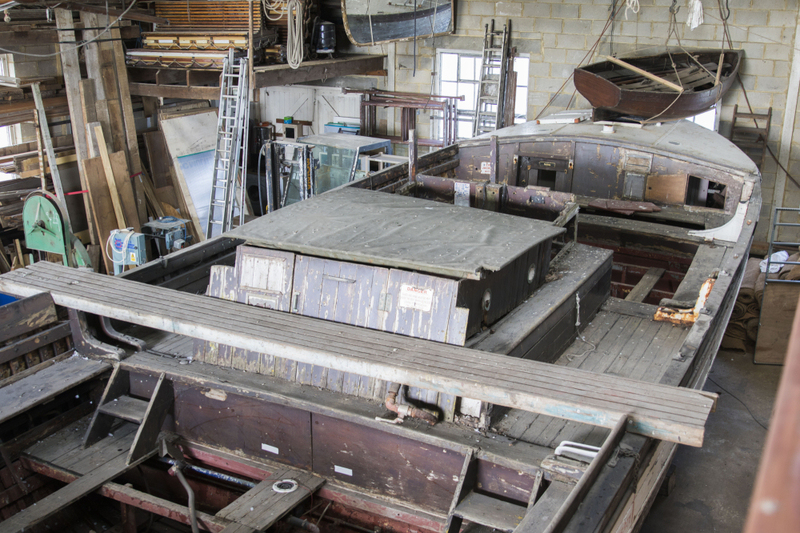 Eastbourne’s historic pleasure boats could soon be back as a working heritage attraction, thanks to donations to a restoration project. 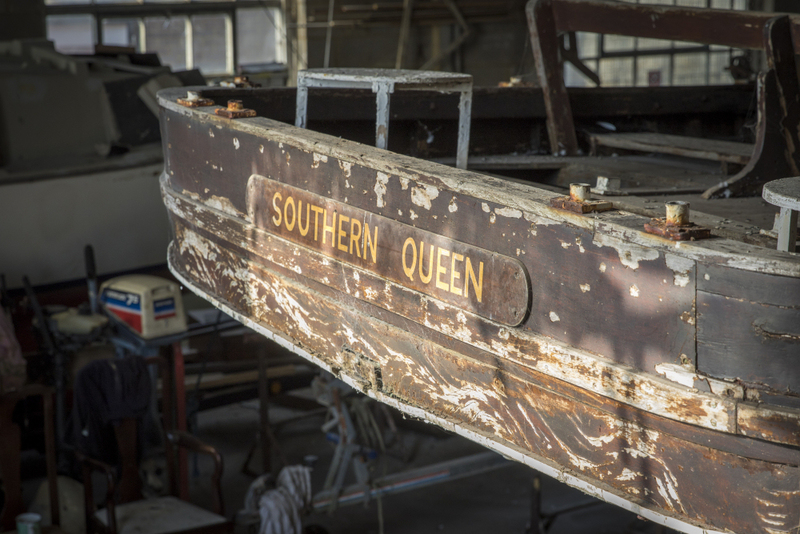 Allchorn Maritime Trust, has begun restoration of the Southern Queen. She was one of Eastbourne’s former pleasure boats, built nearby in Westham back in 1950. Recently she has been grounded on Fisherman’s Green beach. 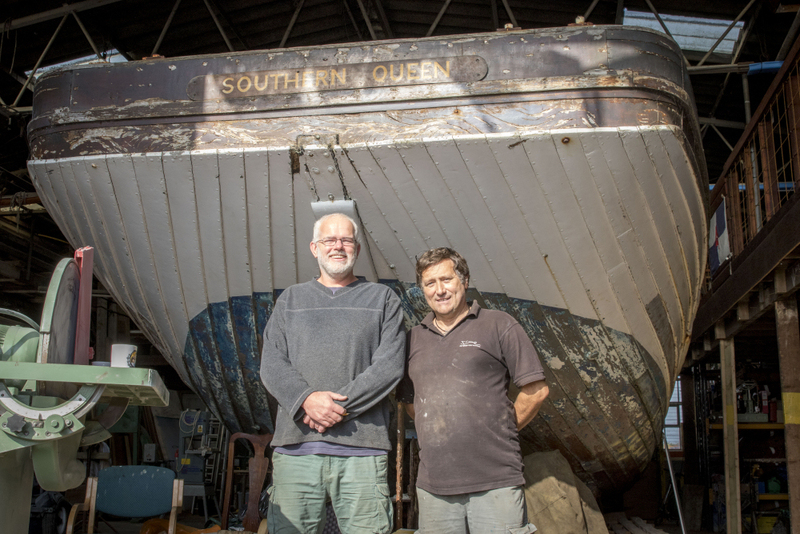 Boat builder and former Coastguard, Lloyd Stebbings, Naval Architect, Daniel Goldsmith, and Marine Scientist, Denise Goldsmith, have undertaken the project. The aim is to restore this and the William Allchorn, returning them to the sea as working heritage attractions. Volunteers and local businesses have contributed time and restoration equipment and timber. Thanks to the creation of a new Maritime Education & Heritage Centre, visitors can see the works for themselves. There’s an upstairs viewing platform overlooking the working restoration area at Fisherman’s Green. Visit the boat shed at Fisherman’s Green on Mondays and Tuesdays from 9.30am to 3.30pm. For more information call 07885 022436. Previous PostRochester in Kent, is a historic town on the route between London and Dover, and home to one of England’s greatest novelists. Next PostPenrith in the Lake District is right in the middle of it all! It’s a market town with cobbled lanes, and surrounded by Bronze Age monuments.